Grateful for multiple distractions from what Hugo had just said, Carmen heard a knock at the door and let in Liz Holloway. Her father sat down and had a snack and let Hugo tend to his son. Mauricio was the first up from his nap and was really happy to see his father. Carmen was getting ready to catch up with Liz when her phone buzzed with a text. It was Dr. Davin Branham again. Davin’s son Baby had revealed that he was considering leaving his wife as he’d fallen in love with someone else. It was a lot to process, and he wanted to talk to a friend outside of the family about it. Carmen had far too many mutual friends with Baby to feel comfortable discussing it with his father. Plus, her own situation made her a terrible candidate for such a conversation. 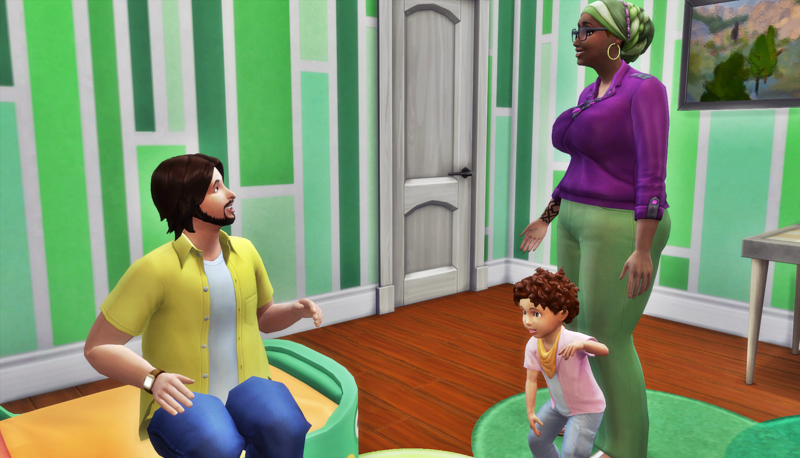 She respectfully declined his invitation, citing a busy home full of toddlers. Carmen wondered how many more rainchecks Davin would give her before giving up on their friendship. Speaking of people drawn to Carmen who she didn’t really consider a friend: Liz Holloway. Luca’s wife was nice enough, even if her ditzy demeanor and overly friendly disposition could be offputting. 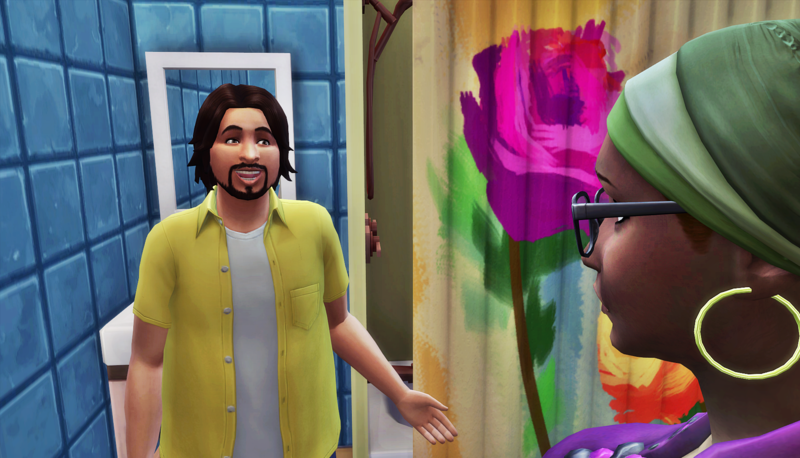 Liz looked really happy to see Hugo there, and peppered Carmen with questions about him. Carmen answered her as best as she could. Yes, Hugo was a great father. Yes, it was unfortunate that he was married to someone else. Yes, she wishes it was possible for him to be around even more. When Liz started chattering about how Luca would love to know this as well, Carmen had enough. She knew there was no way Luca was actually interested in the minutiae of her home life. She headed back to her garden, and told Liz to make herself at home. Having finished his snack. Jeffrey got up to get a snack for Mauricio. Hugo was carrying Rodrigo to the bathroom for his bath. He hadn’t had a chance to explore the new house layout yet, so he was grateful the first floor bathroom was in the same spot. Being the father to so many children, Hugo was an old pro at bath time. He had missed this time with his boys, and was grateful that Carmen gave him free reign with them whenever he was over. All of Carmen’s friends had kids, but only two of Hugo’s did. 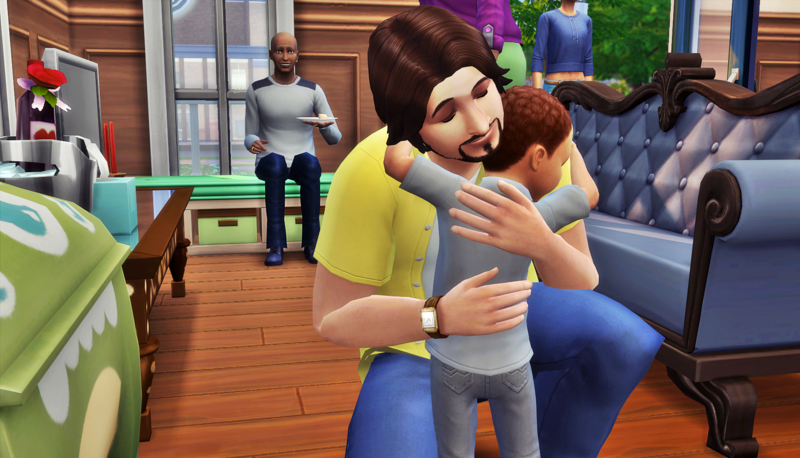 While in the swing of fatherhood, he forgot sometimes just how young he was. His high school friends were probably out having a drink at happy hour as he washed Rodrigo’s hair. But he wouldn’t give it up for anything. Carmen came back in from the garden and went to let Mauricio out of his high chair. Hugo grabbed the bowl from the high chair and put it in the dishwasher. It was in these moments that they both forgot they weren’t a family unit. They liked forgetting that eventually Hugo would have to leave to go back home to his wife and daughter. Hugo hadn’t seen Marco yet. He was in the boys’ bedroom. He had been playing on his tablet, but he stopped to visit with his father. Carmen heard them laughing together and went to join them. “You’re the only Loner I know who’s never alone,” laughed Carmen. “Life circumstances don’t change my preference, but you already know that,” said Hugo. “Oh really? So you want me and your wife to swap positions? There’s no way I’m signing up for being here and wondering when you’re coming home while you’re off visiting your other family,” said Carmen. “This is so heavy,” said Carmen. “Too late, it’s decided. Mood lightening starting in three, two, one…” Hugo serenaded Carmen with some love song in his father’s native language. She didn’t understand a word he used, but at least for the moment, it distracted her from thinking about how much more complicated things had become. Even thought it seems that, finally, Hugo and Carmen are coming close to one another, I do have to coment that, it was a very…interresting way the way that this whole dinamic, between her and Hugo worked, as Hugo did cheat on his wife with Carmen, but…it did not feel…that wrong, I guess? 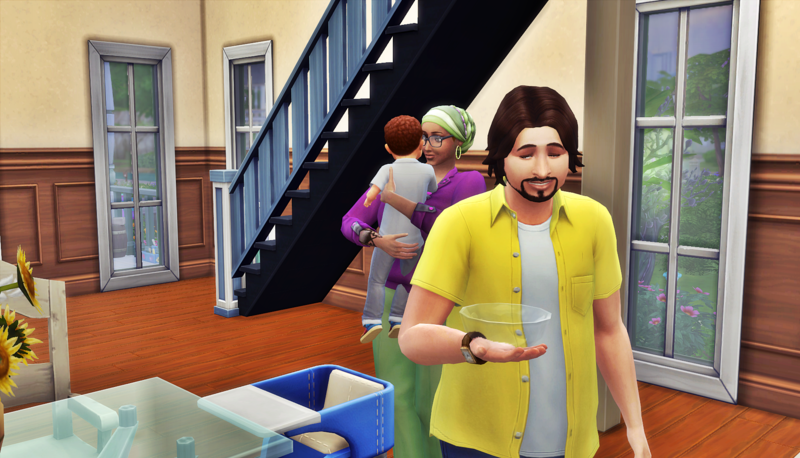 In a way that you can see it is not just for woohoo (as there was said) and that both parts, Carmen and Hugo made their mistakes, pretty diferent from the ”idiot-cheating husband” that this situations usually get. I’m so glad you can appreciate how complicated this is. Hugo is cheating on his wife, no doubt about it. There’s lot of mistakes being made, and I wonder how they’ll find their way out. Ah, ok. I remember now. I’ve often wondered why it was so easy for him to marry Imane, but I forgot that Carmen had previously turned him down. That was a dope line! 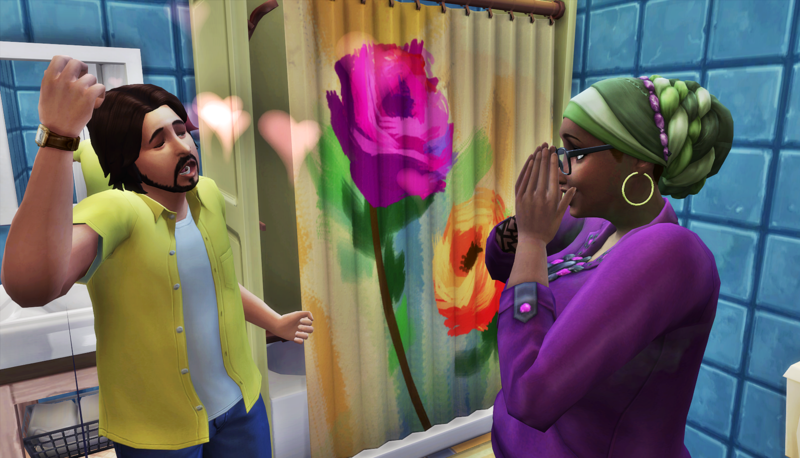 Lol, I wish there was shower woohoo in the Sims 4, that definitely would’ve gone down. Ooooh! So many revelations here from Hugo! But this is making me cautiously optimistic for the future. I mean, I guess it shouldn’t, since we know Hugo’s wife doesn’t want to give him up so easily. But the fact that Hugo is ready and willing to leave her for Carmen makes me happy ❤ Still rooting for these two! I feel like they worked their way to each other. It’s been a hard fought journey. It’s like they can see their happily ever after, but they’re worried it’s just a desert mirage. Hugo is the young one, but they both had some growing up to do. And I think they needed time to believe their love was real and lasting. 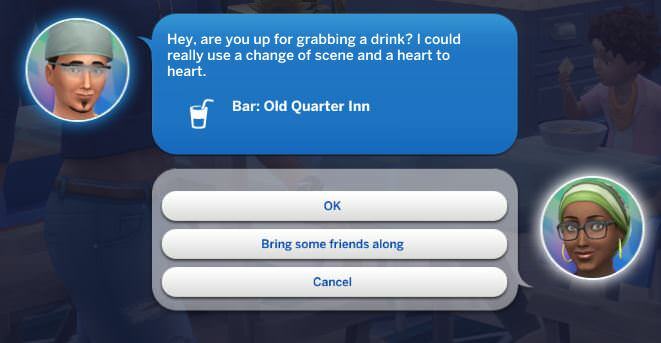 But.. they are Sims, and they’ve got some supernatural stuff to deal with. Where I am in gameplay, they haven’t dealt with it yet, so I’m excited to see how it plays out. When?? You’re so sure he will, eh? Hmmm – He better! Dang it…..
Ah, Hugo! This was all autonomous behavior, right ? I’m interested in seeing where you take this ! And what about Baby’s dad? Lol! He cracks me up ! Clueless ! In some other world, there’s a whole story about the Branhams. And in that story, Dr. Davin Branham is a lot like Robin Williams’s character in Flubber, forgetting to show up to his own wedding and whatnot, haha. But yes, everything was autonomous. Hugo showing up, Liz showing up, the interactions with the kids. The only thing I controlled was bringing Carmen in from the garden when Hugo arrived and putting Hugo, Carmen, and Jeffrey on that couch to talk. I knew there was no way I could have Hugo walking around like he owns the place without talking to the father first. Hugo is so awesome! 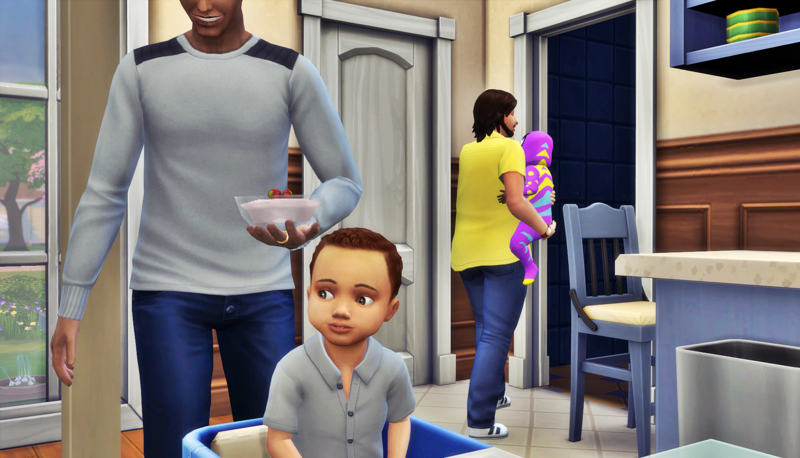 Washing dishes, bathing his son… incredible! I love that Liz showed up! Hugo is the best dad ever!!! Liz just pops over there all the time. Once Carmen was nice to her, like none of Luca’s other friends bothered to try, she’s been a regular visitor. Yup… I picked up on that with the Holloways! 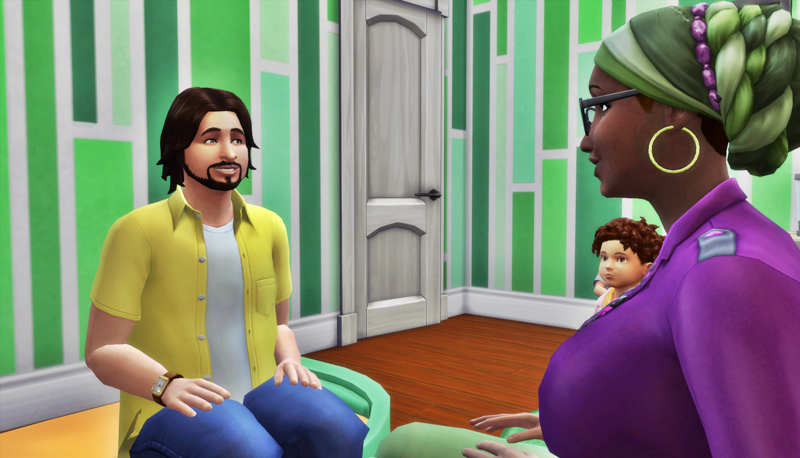 You can tell so much by the way Sims look at other Sims… that nurturing gaze just isn’t there in some households! With the Blanks I would say that they’re fond of each other, but they’re not in love. With the Holloways, they are in love but there’s no foundation there; they don’t really know for sure that they actually like each other. With the Epsteins, they’ve got that long-term love that occasionally flares up with passion, but it’s become complacent. The older and younger Ralstons are on that soulmate stuff however.